She currently shares a home in the rural wilderness of southern Arizona with her mate, her “kids” (a wide assortment of domesticated animals), and the beautiful, bountiful wildlife of the Sonoran Desert. Her highly rated videos of that wildlife in its natural setting can be see all over the World Wide Web. BACK to first person now! ME on my experience . . .
I’ve been writing down things ever since I could remember. My grandmother gave me a diary for my 13th birthday and I’ve kept some kind of journal ever since. I began writing poetry, prose, plays, songs, and lyrics around the same time and was encouraged by many teachers to develop my talent. I wrote an unpublished book in high school which was semi-autobiographical called Blinded by a Smile. In college I couldn’t decide between a major in music or journalism so I took both for a while. My english professor loved my writing but it was too creative for my journalism professor who relegated my tasks to record reviews in the school rag. So I switched over to music full time. In the mid-70s I won an award in the American Song Festival for a song lyric. I honed my academic writing skills in graduate school. Then in the 80s I began freelancing in earnest. I wrote a series of feature stories on local artists for a regional arts newspaper for which I actually got paid and so entered the exclusive ranks of the “published” authors. Of course that club is not so exclusive anymore. Anyone can get published these days if they have an Internet connection. Typing, grammar, and spelling skills are no longer required. I also wrote a monthly horoscope column for that Arts newspaper while working as a counseling astrologer. I became a political activist and wrote a series of radical left-wing “Letters to the Editor” for the local newspaper that got published regularly.  I practically mastered the “500 word” art form. These little letters provoked more controversy and dialogue than anything published previously in that paper. So the editor loved me for the entertainment and marketing value of my work, even though he was on the opposite end of the political spectrum. Just as long as my facts were accurate and reflected current events, he published anything I wrote. I became an oddball celebrity of sorts and an unofficial spokesperson for progressives in a rural hotbed of Reagan right wing extremism. At any rate, it was good experience for later editorial projects. It was during that time that I began writing another book called, Music, Political Power, and Freedom. Despite hundreds of query letters and strong encouragement from many folks, including Frank Zappa’s wife, I got no takers. Eventually, I got pretty burned out and didn’t publish anything for over a decade. With the advent of the online revolution in the early new millennium, I got inspired again. I started writing articles on metaphysical/New Age topics for several online magazines from which I cultivated a solid following. A loyal reader suggested I turn a particular series into a book. 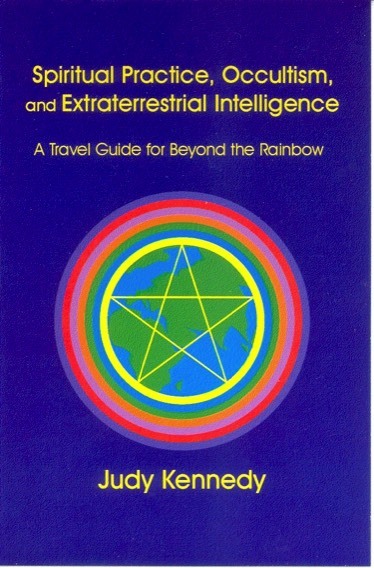 WAYWARDMUSE was born as the name of my first website, and my first book, Spiritual Practice, Occultism, and Extraterrestrial Intelligence: A Travel Guide for Beyond the Rainbow is published and available wherever books are sold. Judy's book explores the connection between spiritual practice and extraterrestrial intelligence in a historical context. It also dispels disinformation typical to this genre, particularly with regard to politics, conspiracy theories, and occultism. A unifying theme based on “The Wizard of Oz Mysteries” provides an exciting backdrop for the book as its parts correspond with the major events in that much loved story. Stylistically creative yet practical and empowering, this book is a unique, highly enjoyable tome that goes beyond the borders of previously published literature on this vast subject.